Classroom Photos Finally!!! - The Resourceful Room! view from the door just as you walk in! Word wall area - the baskets underneath hold sentence strips for adding words on, markers, hand pointers, and ???? Above the sink!! I love the signs I found at Sweet Blessings! I need one more! and those are the fans I bought to hang above the library, but we aren't suppose to hang things from the ceiling so I added them to these cabinets, they look great! The sign under the sink with blue boarder is a gift from my son, it says "To get what you never had you have to do what you never did" he knows I love the quote so he made it for me, he's so sweet!!! This is the board behind my small group table! The calendar is there chart paper and our wow word collector! You can also see my alphabet line I got from Ladybug Teacher Files!! I LOVE IT too!! Look at my library!!! Don't mind my husband back there he's trying to get out of the way and didn't want me to share this one but you need to see the whole library!!! I just need to get a rug! I think It turned out so cute and cozy!! Can't wait to see kids shopping for books! Here's the CAFE menu above the library shelves! I uploaded my cafe signs to vista print and ordered them on a large poster they came out huge, and it worked perfectly here! Also notice the banner I made earlier this summer! Here are my supply drawers, eraser gumball machine, pencil holder, sucker tree!! Above it is my "Love, Mrs. Marshall" poster and our classroom expectations. My computer area! I'm loving my Livey Lou magnetic board, and filetastic from Mardels! I go this little shelf at family dollar for $12, works perfect for that phone that doesn't hang on the wall! The purple and pink M was from Target's dollar spot and my husband drilled holes in the top to hold my pens! and here's the door outside, I don't have a lot of room in the hall so this is all I put out! Well, there it is!! What do you think!! I hope the kids feel comfortable and cared for here! Looking forward to inviting them in to learn!!! Don't forget I still have a giveaway going on!! You could win a Shabby Apple dress, Hurry go enter, it's a great prize, I want to win it myself!!! I plan to be back tomorrow with a couple of freebies, until then have a wonderful Friday everyone! Amy everything looks amazing!! I love the CAFE board & banner.. I LOVE all the pink and green! And your reading area, too! Super fab! I have the same color scheme as you - your room looks great! I especially like the reading bench. Your room looks amazing!!!! You really whipped it together, didn't you? You'd never know you did it that fast...that cuteness would take me WEEKS! Your room looks so organized and cute! love it, very cute! i have to get a number line for my room now. does yours wrap around the whole room? Your room looks absolutely fabulous! Beautiful...beautiful! What a wonderful, happy, organized classroom! I LOVE your library and cafe board and all your summer projects really make the room special! I love your room! It's so organized and colorful! Your room looks so inviting! I'm sure that your students will feel comfortable and enjoying their environment! Your room looks wonderful!! You were meticulous in your organization and set-up!!! Amy your rooms is so bright and fun! I love the green and hot pink color combos!! The pinks! The greens! The polka dots! I'm going to faint. I love it all. I'm your newest follower. I love the pics! Your room is amazing. My favorite part is your Cafe area. Those CAFE letters are wonderful. Come link up to my giveaway/linky if you have time. It's all about classroom pictures. Wow...wow...WOW! You did an awesome job...it looks fabulous! And you did it in one day??!!! Can I hire you? I ADORE your library!! How did you make the crate bench? So glad to hear you love your new district! Your room looks great! Great color scheme! May I copy your room? Seriously, it is amazing!! GREAT JOB!!! Stop by and visit anytime! SMILES! Your room looks amazing, Amy! I love your color scheme and how everything ties together. Love the colors! Those are my classroom colors too! Great job! Your room looks fantastic! I love your library!!! Wow, amazing!! Can I be in your class?? I have been downloading and printing off your freebies for my own classoom and I LOVE LOVE LOVE everything! How did you make the sign for the outside of your class? I would love to have that outside mine! Could I get a copy of it? Thanks! Your room looks GREAT! I love the pink & green :) I wish my room was done. Hopefully sometime this week I'll finish it up...I only have a week left to prepare! I'm running a giveaway for 100 followers (Can you believe it?? You were my 1st!!). 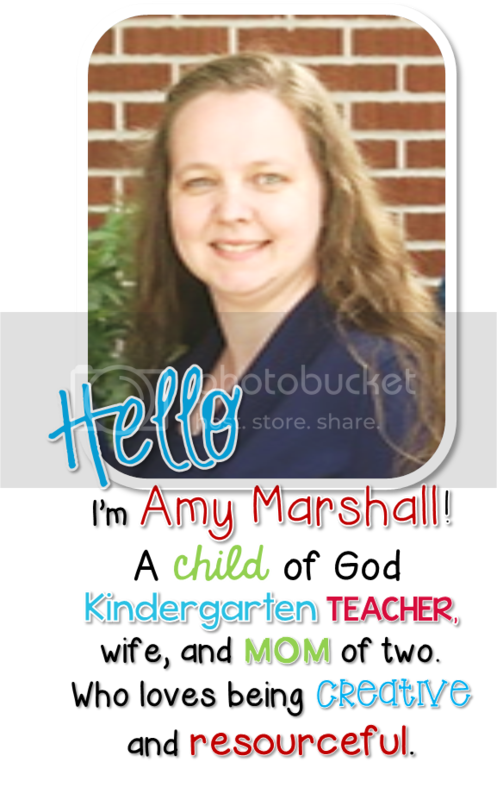 Thanks for getting me started, Amy :) Have a great school year!! Your room is beautiful! Thanks for sharing and giving me the inspiration to get my own classroom together! Your students are going to love learning there! Well done! I love the pink and green theme! So cute - very inviting and organized! Just out of curiosity, how much of your own money do you spend on your classroom each year? I love the pink and the green together! It looks amazing! Thanks for linking up! Thanks for linking up and sharing your great room. Love the CAFE sign. Love your room! I like the green and pink color scheme! Thanks for linking up! I love the green and pink in your room - my favorite colors! Just curious, where did you find the green and pink tubs for your books? I want to update my classroom library but can't seem to find the right containers for my books! Those would be perfect!! !